Panna cotta is an Italian dessert made with cream, milk and sugar and a setting agent, usually gelatin. I have seen many flavours of this dessert on several blogs and was waiting for an occasion to make some. I did get a chance when a friend had us over for dinner a couple of weeks ago, and I took dessert. A few months ago when I had a huge stash of fresh strawberries (courtesy : hubby’s travel to CA) I had pureed the soft ones and froze it. 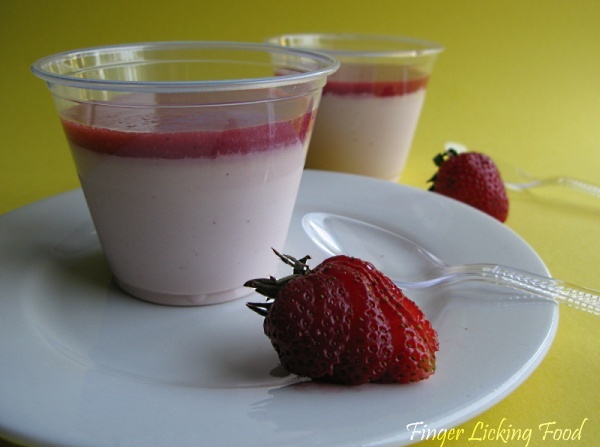 I found a simple recipe for Panna cotta on Food Network by Giada de Laurentiis. 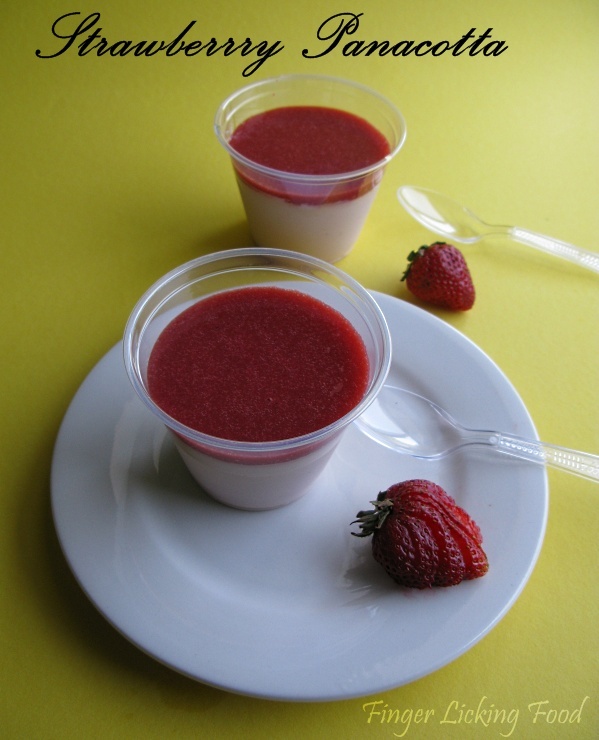 I modified it a little to make Strawberry Panna cotta with fresh strawberry puree. Place the milk in a small bowl. Sprinkle the gelatin over. Let stand for 3 to 5 minutes to soften the gelatin. Pour milk mixture into a heavy saucepan and stir over medium heat just until the gelatin dissolves but the milk does not boil, about 5 minutes. Add the cream, honey, sugar, and salt. Stir until the sugar dissolves, 5 to 7 minutes. Remove from the heat. Stir in the strawberry puree. Pour into cups or glasses. Cool slightly. Refrigerate until set, at least 6 hours. To make it more ‘strawberrier’ I poured fresh strawberry puree on top of the set panna cotta. 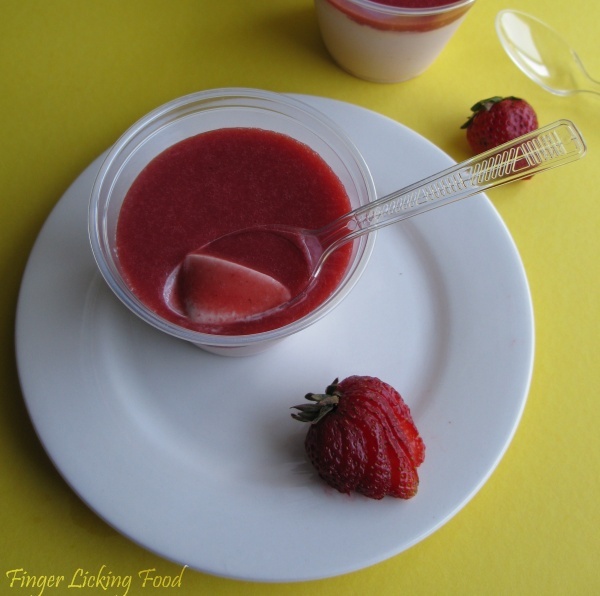 The puree was slightly tart which cut the sweetness of the panna cotta. This dessert was incredibly creamy and the honey added just the right amount of sweetness. wow! mouth watering and want to grab and have a taste of it. the panna cotta looks nice n creamy!! Such a nice dessert, and can be served so beautifully!